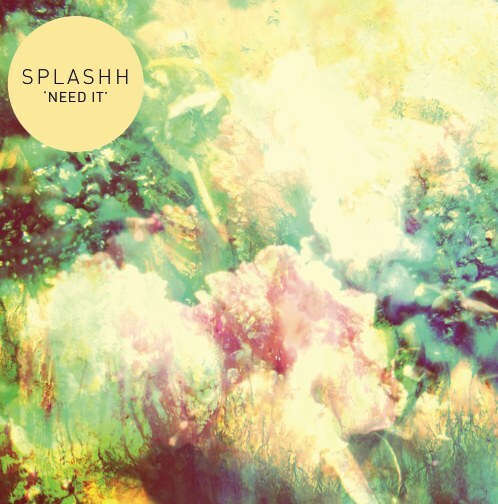 Simply put, ‘Need It’, the debut single from London indie quartet Splashh is one of the most addictive and best new finds this year. Part dream-pop, part shoegaze, and part indie-rock, ‘Need It’ is a deliciously sugar-coated track drenched in waves of fuzzed-out guitars. Most comparable to the Silversun Pickups at their most pop both in terms of music and vocals, listen closer and you’ll also find hints of Ride, Lemonheads, and Teenage Fanclub. An up-tempo number built around a jangly rhythmic guitar riff that continues throughout the song while a whirring guitar adds a psychedelic-like element to the song. ‘Need It’ is effortlessly cool as it weaves between verse and chorus seamlessly. B-side ‘Headspins’ is more shoegaze-y than its A-side and only slightly less exhilarating. A moderately paced number driven by a solid bass line and centered around a heavily reverberated vocal that melodically calls to mind Oasis (imagine a shoegaze version of ‘Married With Children’). ‘Headspins’ is another brilliant 90’s-inspired track, which reinforces Splashh are definitely one to keep a watch of closely. ‘Need It’ was released on 30 July as digitally and on 7” vinyl.